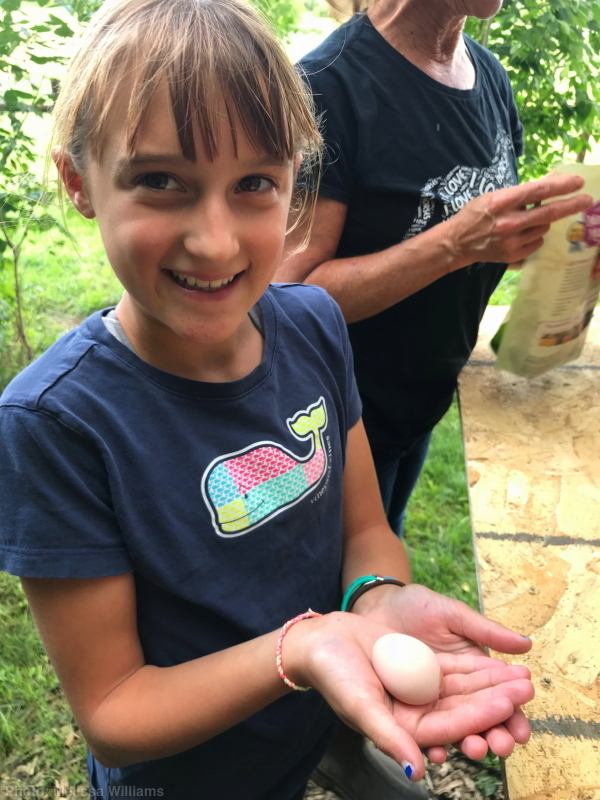 The first egg appeared yesterday! Right on schedule, per our calculations. Melissa and Sarah were visiting and Cyndie took them down to check the coop, just in case. The fact that they were present to witness the occasion was fitting, in that last year they were all up at the lake together when I reported the appearance of our first egg from that flock. The Williams girls are our good luck charms. 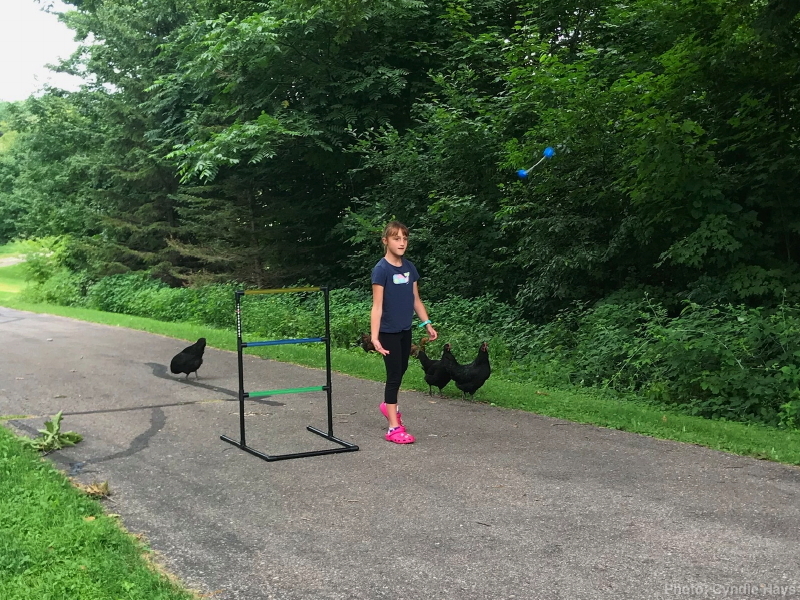 The chickens were being very social while the ladies played a few rounds of ladder golf on the driveway. 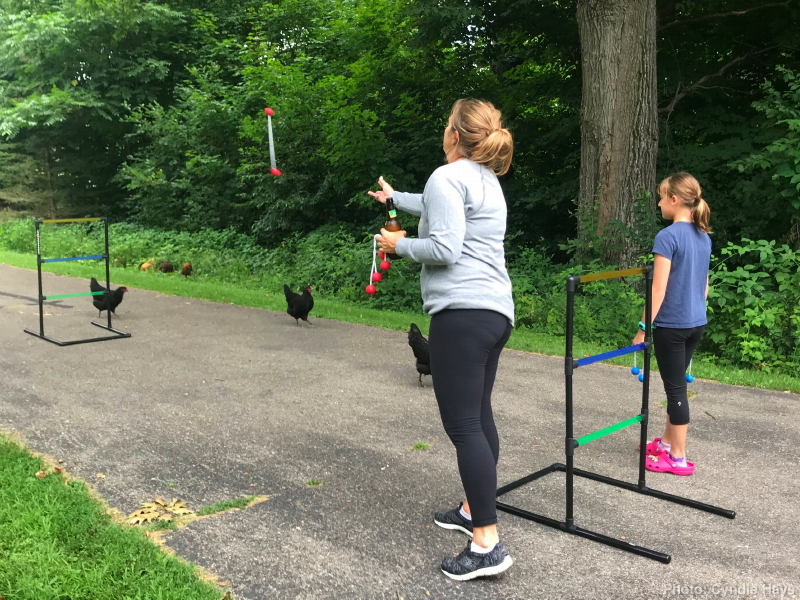 Instead of being intimidated by the flying obstacles, the birds took great interest in the colorful orbs. Maybe they thought the golf balls looked like eggs.